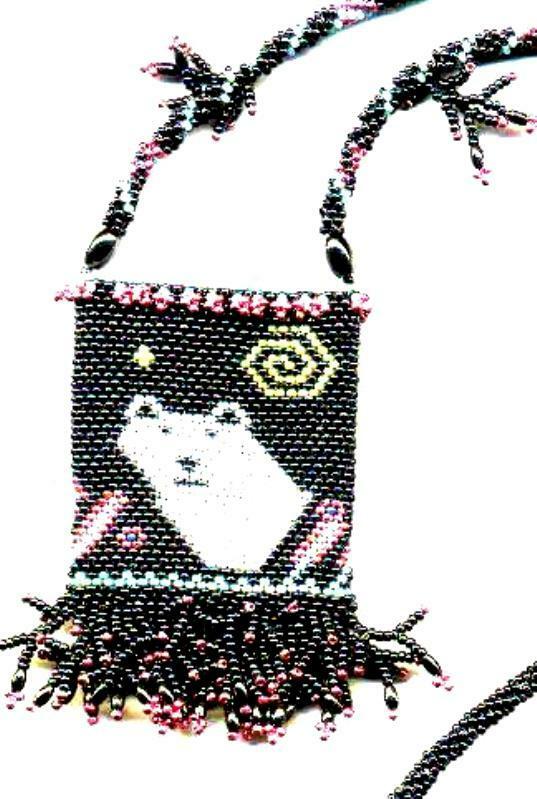 Alaskan Original Beadwork! 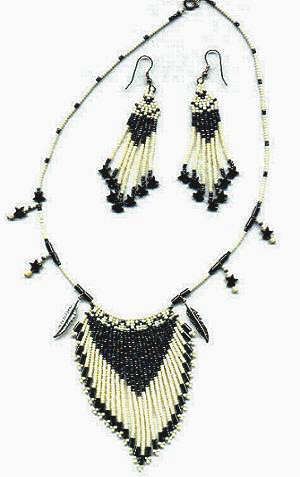 Original, hand-beaded jewelry & gifts! Hand-beaded by Lynne ! From jewelry to...! ? 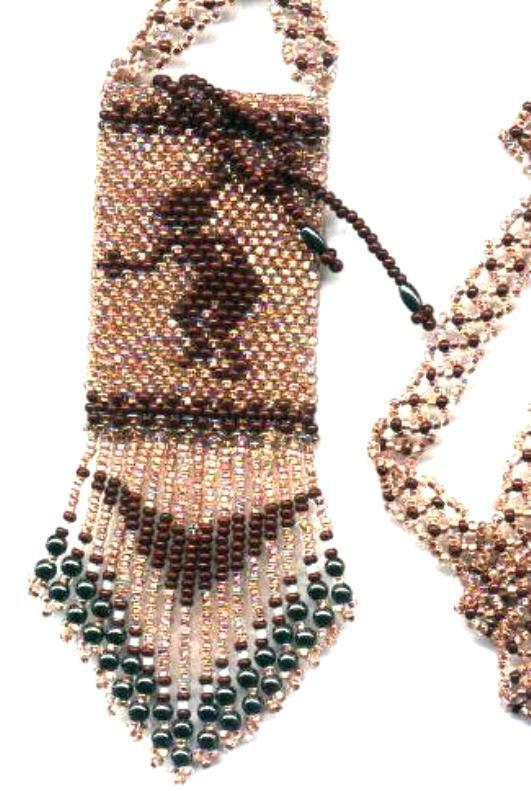 I apologize for the quality of the amulet bag photos, they truly don't do justice to the exquisite beadwork in these items! (if I do say so myself!) To place an order, simply send me an email and I will explain how I work things out with my customers. The winters up here are breathtaking...cold...but mostly they're LONG! 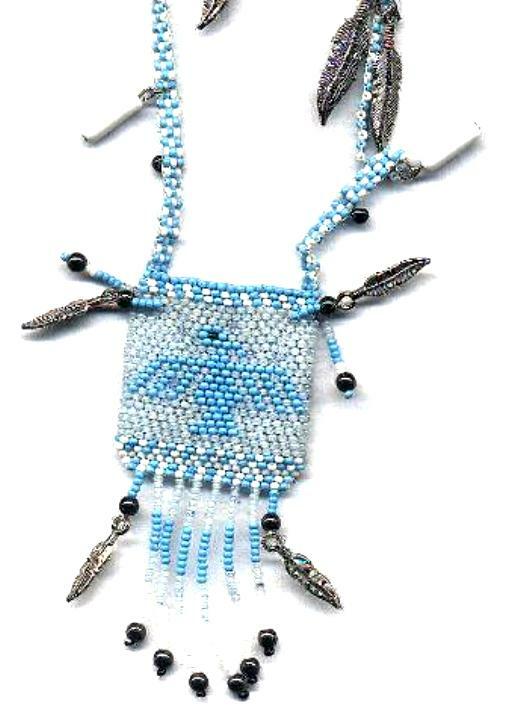 Giving me time and inspiration to create original beadwork! Take a look at some samples of inspirations from last winter, and choose a favorite or two, for yourself...or for someone special as a gift! 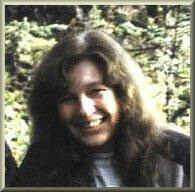 Many of my pieces are made with *Hematite*, a semi-precious stone, native to Alaska. Your pointer will tell you which ones are made with Hematite. Click Here For More Designs ! Beautiful drawings, artwork, and web designs! I also have Cheyenne to thank for creating and mainting my Order Page! We traded a necklace and a matching ankelet for the work she did on my beautiful Order Page! This site was updated on 5/25/2002. The contents of this website are protected by U.S. and International coypright laws.